Hello! 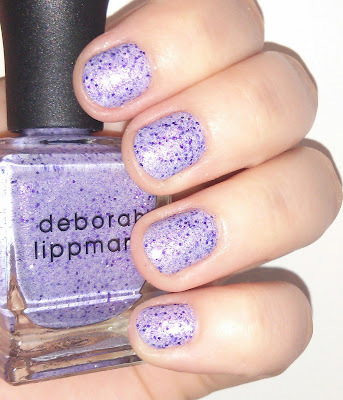 Just a super quick post to show you this manicure that I wore last week & fell in love with! This mani is 2 coats of Essie's Naughty Nautical with a coat of Orly's Sparkling Garbage on the accent nail. I used NYC Grand Central Station for a top coat. That being said, I'm completely obsessed with the June SoBe Collection! Inspired by the vibrant South Beach area of Miami, these polishes are perfect for summer & super flattering. The colors included are Lincoln Road (dove grey creme), Ocean Drive (mint creme) & Collins Avenue (almost-neon coral with subtle shimmer). 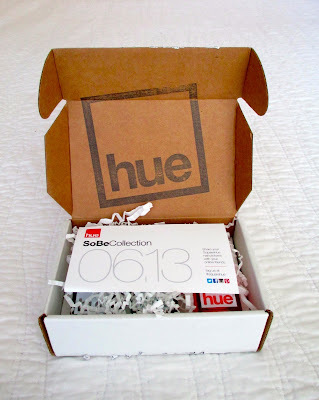 I really like that they included a super bright, typically summer color like Collins Avenue & then paired it with a cool mint & a neutral grey. 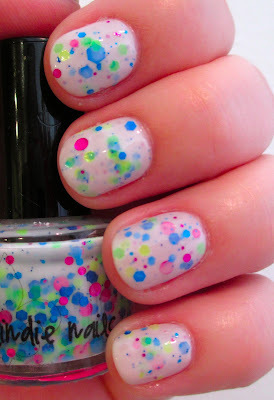 The colors look amazing together & lend themselves well to nail art & combinations. Of course, my camera had a hard time capturing Collins Avenue because it's so bright, but a couple of the pics below are pretty true to the shade. Ready for the pics?? MORE PHOTOS AFTER THE JUMP!! Oh man, you guys. I'm the worst. Sorry that I've been absent for so long. Motivation has been severely lacking lately but I'm back on the train & I've got a great polish to show you today! 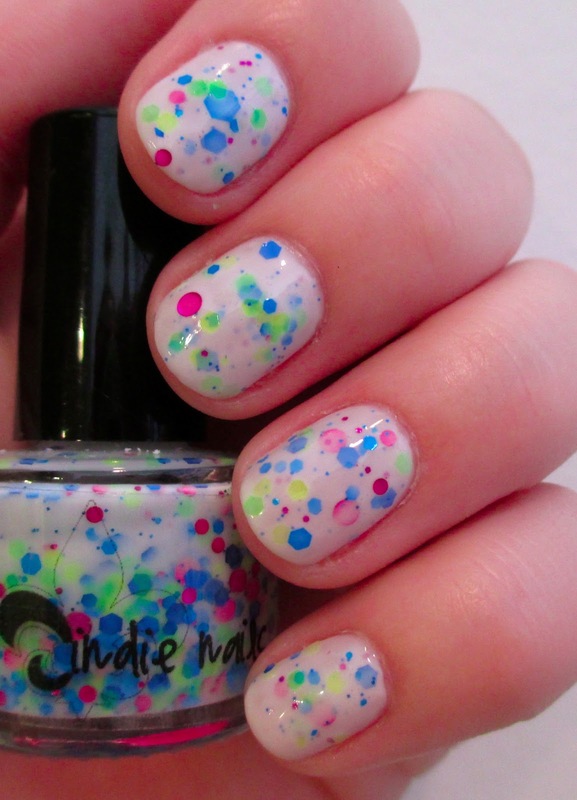 Jindie Nails Rave is a beautiful white crelly (creme/jelly) base filled with a ton of different types of neon glitter. 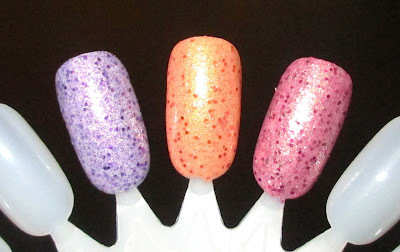 There's circular, hex, large, small & medium glitters, some of which are semi-transparent. It all makes for a very pretty polish with a ton of depth & interest. The formula on this polish was spot on. The glitter came out evenly & easily & it was opaque in 3 coats. The only ones that I felt I was kind of fishing for were the large magenta circular glitters, but as you can see I managed to get out quite a few of them. Dry time for this was pretty good. I used a quick dry topcoat for the manicure pictured above. I'm a huge fan of indie polishes, so I was super excited to get to try out Jindie Nails. 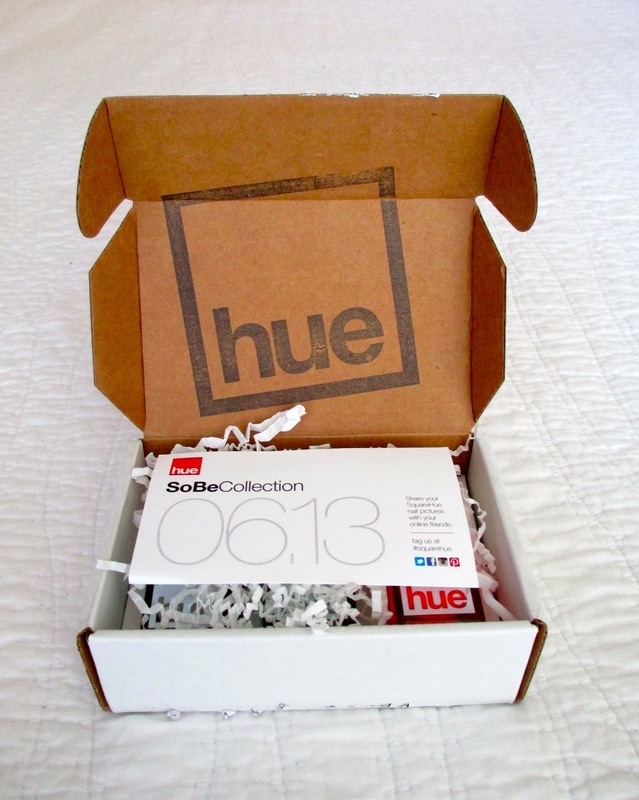 I'd read so many good things about the brand online & now I can say that I definitely agree! This polish is a stunner & I'm happy that it's part of my collection. Have you tried anything by Jindie Nails? What's your favorite indie brand? Share in the comments below! Hi everyone! 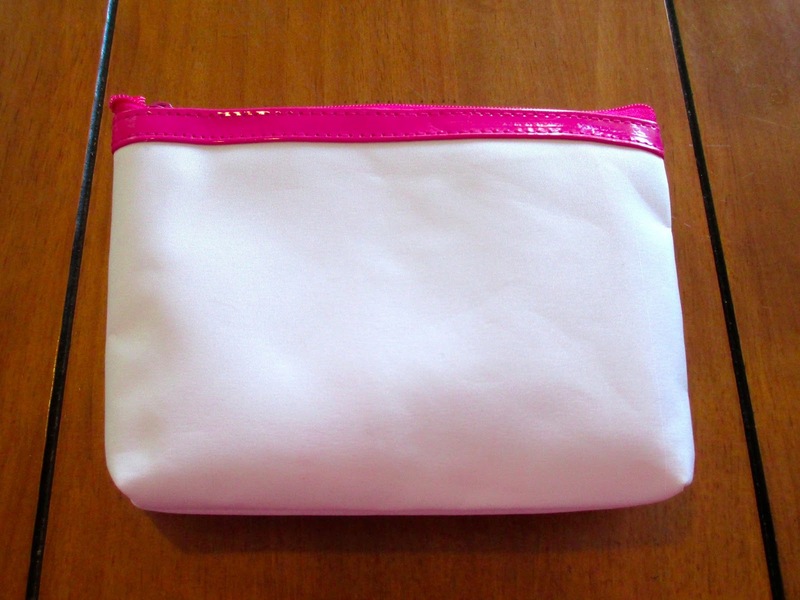 So I had a couple of other posts planned that I was going to put up before my review of the May Ipsy Glam Bag, but after the bag came in the mail yesterday I was just too excited to wait! I feel like I say this almost every month, but this month's bag is probably the best one that I've gotten so far. Every single item inside is something that I will definitely use & enjoy. 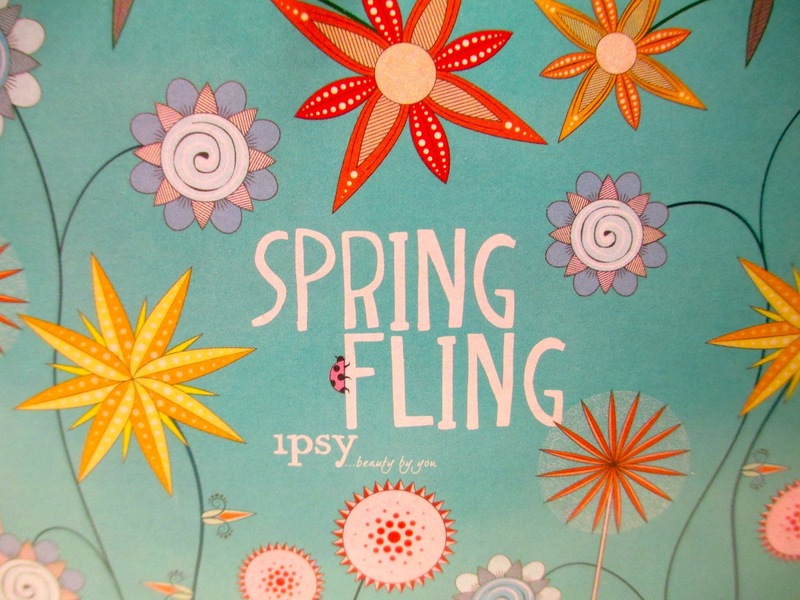 The theme is Spring Fling & the bag is uber cute! Let's get to it, shall we? Product reviews & photos AFTER THE JUMP! 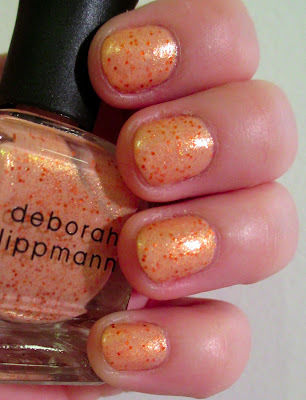 From the moment I saw the announcement, I was SO excited for Deborah Lippmann's Summer 2013 Mermaids Collection! Mermaid's Dream is easily one of my most favorite polishes, so of course a collection inspired by that beautiful color would catch my eye. The colors that I have to show you today are Do The Mermaid (lilac base with gold shimmer & larger purple glitter), Million Dollar Mermaid (creamsicle orange base with gold shimmer & larger coppery orange glitter) & Mermaid's Kiss (light pink base with gold shimmer & larger light pink & dark pink glitter). 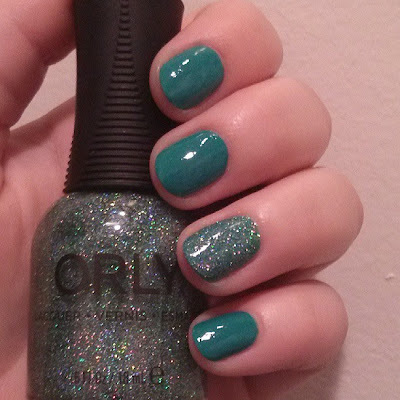 Since I already showed you Do The Mermaid as a manicure HERE, below is a photo of when I wore Million Dollar Mermaid as a manicure. I can't even tell you how much I love these polishes. They're so soft and shimmery with the perfect amount of glitter. Formula-wise, they were all pretty good. The nail wheel swatches are 3 coats, but on my actual nails I only used 2. Million Dollar Mermaid appeared the sheerest, followed by Mermaid's Kiss & then Do The Mermaid but they all built up to opaque quickly & easily. Dry time is super fast on all of these. They do dry slightly bumpy, but a good coat of a thick topcoat takes care of that. These colors are perfect for summer, don't you think? 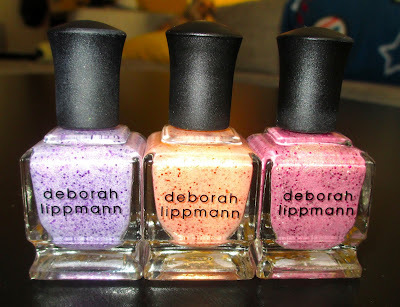 Deborah Lippmann definitely knocked it out of the park with this collection as far as I'm concerned! What do you think of the Mermaids Collection? Have you seen any dupes?? Let me know in the comments! Does it live up to the beauty of the original Mermaid's Dream? I'd say...yes! I love this polish. I scooped up 3 out of the 4 Mermaids & I wasn't going to post any of them until I could put together a full post on all of them together, but I just couldn't wait. I think that this is the perfect summer polish & I'm so excited to see if the others are equally as pretty. I mean, look at it! Shimmer, glitter, pastels, oh my! The formula was a breeze. The photo above is 2 coats with topcoat. Dry time was super fast & glitter payoff was perfection (as Lippmann's usually are). There will definitely be a full post coming soon that includes the other 2 Mermaids that I picked up, Mermaid's Kiss & Million Dollar Mermaid. I skipped out on Mermaid's Eyes because I thought it might be just a little TOO similar to Mermaid's Dream...but who knows, maybe I'll add that one to the collection someday, too. Last but certainly not least, I want to remind everyone that Google Reader is going to be gone soon. Head over to BlogLovin to follow Keep Your Nail Game Fresh! I've been a bad little beauty blogger for the past week or so & I'm so sorry for the lack of posts. Life's been a tad busy & I've just been so exhausted...& then it was my birthday...but now I am back! 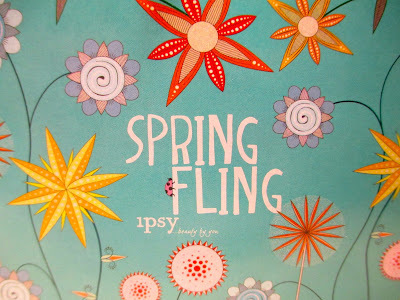 I've had the April Ipsy Glam Bag for a little bit & now I am finally going to share it with you. The theme this month is Pretty In Pink & I'm super happy with the contents! The bag itself is super cute & seems to be the most sturdy & well made bag that I've received so far. 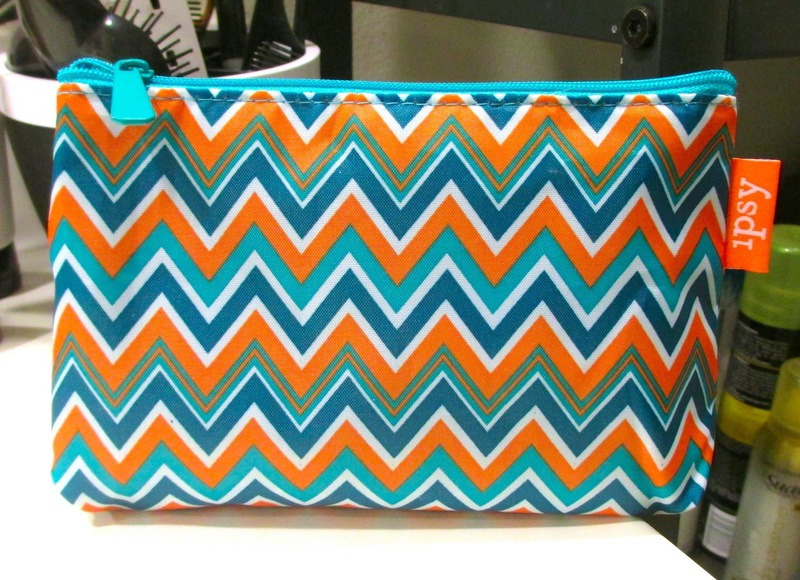 Also, one of the items is probably my favorite item that I've ever gotten from any beauty subscription. We'll get to that, though...let's start with pics! PHOTOS & REVIEWS AFTER THE JUMP! All opinions are my own. Original photos & content are property of Khalei Marie. Please give credit. Ethereal theme. Theme images by diane555. Powered by Blogger.